Join us for a morning yoga session to wrap up the week. This class is for all levels of fitness and physical abilities. You’ll walk out feeling strong and powerful. 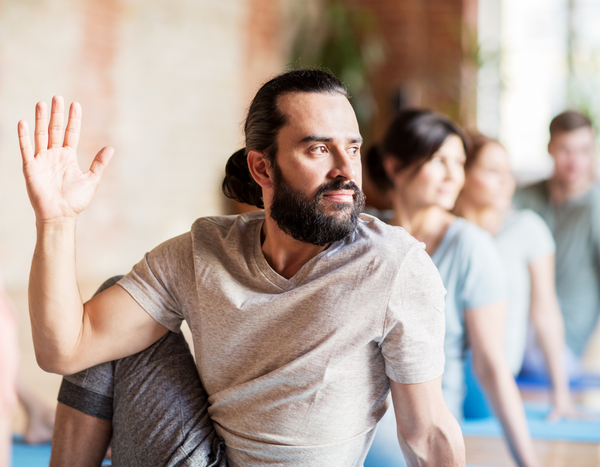 In this class you’ll experience a blend of yoga, pilates and barre moves designed to center your spirit, focus your mind and energize your body. This class is for all levels of fitness and physical abilities. You’ll walk out feeling strong and powerful. Wear comfortable clothing, bring a water bottle and yoga mat. Jess is a design thinking facilitator and researcher living in Austin, TX. Currently, she coaches individuals, teams and organizations on how to cultivate healthy design practices while making meaningful products and impactful services. Exploration x Design was launched in 2018 to support designer deepen their practice. The approach incorporates design thinking as a methodology for creative collaboration, mindfulness to fully listen and be present and physical awareness.